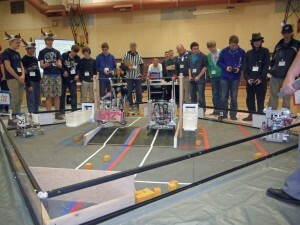 Olympia School District high school teams dominated the inaugural FIRST Tech Challenge (FTC) Olympia League Event on Saturday, November 23, at Jefferson Middle School. Seventeen teams from Thurston, Mason and Gray’s Harbor Counties competed in the first of three League Events, which combined will determine these 17 teams’ seeding at the Southern Washington Inter-League Championships on January 11, 2014 at Jefferson Middle School. Oly Cow (team #6424) from Olympia High School ended up undefeated and topped the rankings in a promising start to their attempt to retrace their path last year to the State Championships. The Capital Gear Grinders from Capital High School (#5061) and DERPA from Olympia High School (#7113) came in second and third respectively, separated only by a few tie-breaker points. 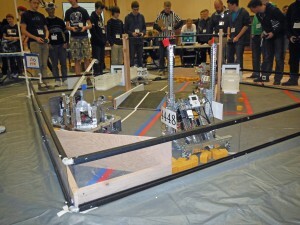 Avanti High School also made a strong showing, with BGIP (#4448) placing 4th and MIP (#7111) finishing in 7th place. 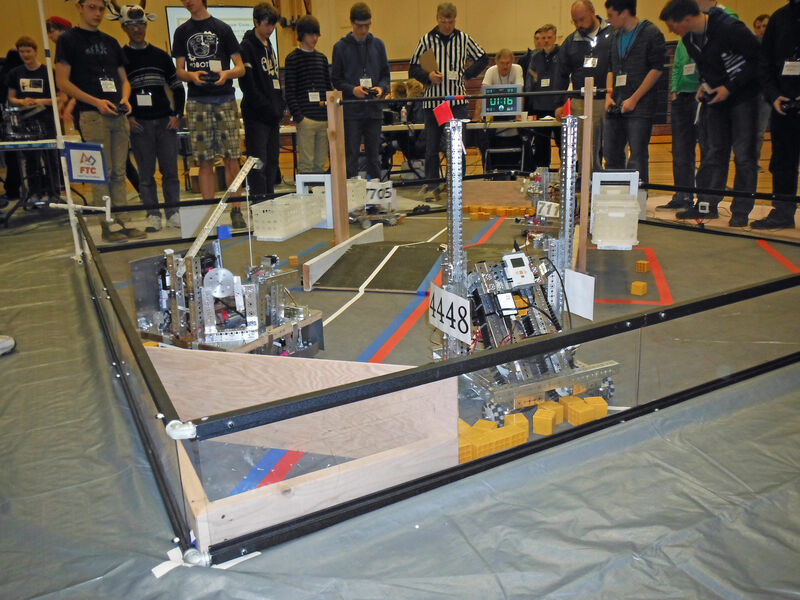 A veteran team from Elma High School, Elma Robotics (#6091), placed 5th and rookie teams from North Thurston High School (#7705), Shelton’s Oakland Bay Junior High School (#7299) and Pope John Paul II High School (#8030) rounded out the top half of the field. Rookie and veteran teams alike all learned a great deal at this first competition and now have two weeks to refine their robots before the second League Event on Saturday, December 7th at the Olympia High School Commons (rear parking lot). Admission is free, and the public is welcome to come and cheer on your favorite team in “Robotics as a Sport”. Matches will run 1:00 to 5:00 on Saturday afternoon.